Dr. Jonathon was born and raised in Birmingham, Alabama. He graduated from Auburn University with a BS in Engineering and then proceeded to spend several years studying and researching medical microbiology and cell biology. As a life-long headache sufferer, he was introduced to Atlas Orthogonal Chiropractic by his wife. From that moment forward it has been his passion to help those with head and neck pain improve the quality of their lives. 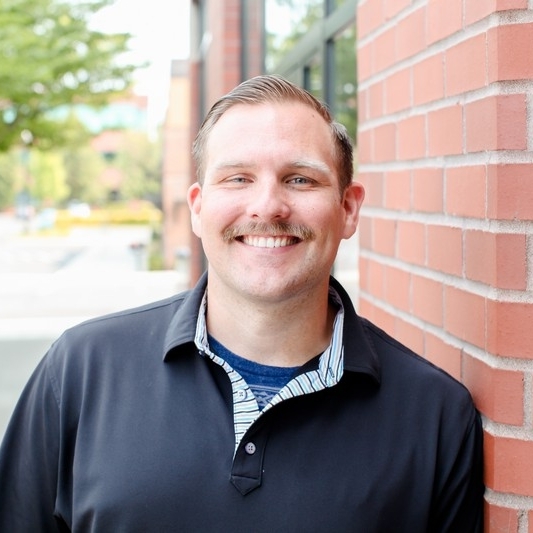 Dr. Jonathon graduated from Western States Chiropractic College in 2004. Dr. Tara grew up in Sylacauga, Alabama. She graduated from Auburn University with a BS in Chemistry and worked for several years as a research chemist in Columbus, GA. After suffering a sports injury and getting no relief from traditional medicine, she tried chiropractic for the first time. She was so impressed with the results that she returned to school to become a Doctor of Chiropractic and graduated from Western States Chiropractic College in 2004 with honors. She received her Board Certification in Atlas Orthogonal technique in 2007 and is also a certified Inferno Hot Pilates instructor. Dr. Tara and Dr. Jonathon enjoy beekeeping, hiking, kayaking, watching Formula One racing and college football, and traveling. Patty Harris graduated with honors from Everest College and received her massage license in October 2009. Her passion is helping people feel better through massage and educating them as to how they can proactively help themselves. Patty is also a fitness instructor with over 20 years in the industry. Judith has lived in the Pacific Northwest for the last 5 years after living in several other states in the U.S. She left Mexico 17 years ago with her daughter to pursue her dreams and hobbies. Judith enjoys all arts and crafts. She also enjoys cooking and baking. You can find Judith on the weekends with her husband and three kids enjoying the farmer’s market and local parks. With Judith’s strong language skills and previous injuries she understands how chiropractic care can help most people and is qualified to assist the office staff in interpreting for our Spanish speaking patients. Ileen is a 2009 Graduate of Everest College School of Massage Therapy in Vancouver, WA. She is trained in Swedish, deep tissue, spa therapies, and sports treatment. Ileen intends to give her clients a safe environment and a place to heal. The well being of her clients is of the utmost importance to her. James graduated with honors from Everest College in January 2010. He continued his education and enrolled in a Sports Massage program, as well as training in Manual Ligament Therapy. James really enjoys the treatment aspect of massage and helping people achieve relief from muscular tension and pain. He likes to spend time outdoors, camping, hiking, canoeing, and kayaking. James is a native to the Pacific Northwest and has lived in Vancouver since 2002. Tish graduated from Bodymechanics School of Myotherapy and massage in 2016. As a competitive youth in gymnastics and swimming, she overcame obstacles and injuries. Tish has been a personal trainer since 2013 and group exercise instructor since 1997. She is motivated to help people move better and feel stronger. Her bodywork treatments include functional, myoskeletal, neuromuscular, and therapeutic massage. She likes to spend time with her husband, son, and dog. Given the opportunity, Tish will be out swimming, kayaking, stand up paddle boarding, rock climbing, Kettle Bell training, snow shoeing, painting, or learning. Sean grew up in San Diego, California. He moved to Portland, Oregon after high school on a baseball scholarship to Concordia University-Portland. He graduated with a degree in Exercise and Sport Science in 2012. Having to undergo shoulder surgery and miss a year of baseball while undergoing daily rehab opened his eyes to what good treatment can do for someone’s life. Sean enjoys Crossfit, paintball, spending time with his family and almost any activity outdoors. He is a certified SCUBA diver and recently obtained a certification as an EMT. Ashley Newland has worked in the healthcare field for almost 8 years. She grew up in the Pacific Northwest all her life and enjoys everything it has to offer. She will be attending nursing school this summer to purse her career in healthcare. Outside of work she enjoys spending time with her daughter. They like to spend their time camping, kayaking, hiking, riding horses and playing the guitar. Judy was born and raised in Portland, Oregon and moved to Vancouver in 1989. After 3 auto accidents in one year, she was left with constant neck and low back pain. Over the years, she was told by many doctors that her upper neck was out of alignment. She became a patient at Atlas Spinal Care and found relief from the pain that had bothered her for 30 years. She now helps out at the office part time and enjoys seeing others get the care they need in order to lead pain free lives. Judy's interests include gardening, dog walking, rock hounding, making jewelry, and spending time with her cat, Miles. Terry is an Arizona native and has lived in the Pacific Northwest for 21 years. A proud mom of two teenage boys, Terry enjoys a full life with the usual fun busyness of active kids, church, gardening, and making beaded jewelry. Terry is also a Certified Clinical Hypnotherapist and hopes to be able to offer another facet to Atlas Spinal Care in the future. Nici is a Louisiana native and has lived in the Pacific Northwest for 11 years. A mom of two boys, Nici is also a Pilates instructor in the Atlas Fitness Room. Some of her interests include gardening, reading, action movies, cycling, and hiking. She is a diehard LSU fan. Nici is a long distance runner and is also handy around her house—she enjoys plumbing, chopping wood and walking her four dogs. Cindy has lived in the Northwest for over 35 years and has made chiropractic a way of life. She loves hiking, decorating, gardening, and spending time with her family; especially her grandchildren: Jack, Logan, and Evie.